The entire Ohio State University community reacted to the outrageous Bradley Smith article which ran in the January 18, 1992 issue of The Ohio State University “Lantern” Student Life Newspaper claiming to offer “proof” that the Holocaust was a hoax. When the Bradley Smith article appeared in the Ohio State University Lantern, The Columbus Bible Students responded with the following full-page paid advertisement. These were no bleeding hearts, the American soldiers who liberated the Nazi death camps. They were tough veterans. Many of them had seen their own buddies blown up in the terrors of combat. But nothing had prepared the soldiers for the horror they saw at Ohrdurf, Nordhausen, Buchenwald, Dachau, or Bergen-Belsen, or any of the HUNDREDS of camps they found. These men were speechless in the face of this horror. Silent tears and rage, at the people who committed these crimes, were the reaction of our soldiers.2 If there was anti-German feeling after the war, it was not because some imaginary Jewish conspiracy had tricked American soldiers into feeling sorry for them. It was because the Nazis were beasts. It was such a monstrous idea — the destruction of an entire people. Why? Certainly not because they were a threat to the war effort. Many Jews were loyal subjects, working in weapons factories or making needed materials for the “Fatherland”. It was not because of their politics, because while a few Jews were Communists, most were merchants, traders, commercial workers who contributed to the free enterprise system of Germany. It was not because of their ethnicity, because they had wide differences of speech, dress, and customs. It was not their nationality, they were Germans, French, Poles, Hungarians, Russians, Ital-ians, Ukrainians, etc. It was not because of their race, they were dark and light, with every kind of facial feature. 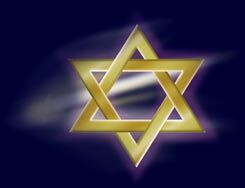 The Jews of Europe were not even exterminated because of their religion, many of those murdered did not practice Judaism. The Nazis killed Jews who had converted to Christianity, as well as some Christians who tried to help the Jews. The Jewish massacre was unique ... it was aimed at a particular family of man — a single blood-line, a single gene pool. It was GENOCIDE. Belief can only flow from understanding. And no one can understand the full scope of the Nazi crimes. No one can understand even one baby skewered on a bayonet, let alone the brutal murder of millions. Even after the war ... after photographs taken by the Nazis had been published in LIFE ... after films of the living dead had been shown in newsreels ... returning American soldiers who were eye witnesses, and who brought home their own snapshots of the camps, were still met by disbelief.4 “No one would do that”. And so, today, it is understandable that anyone who does not force themselves to confront the overwhelming, horrifying evidence, could not fully BELIEVE the Holocaust took place. People are so accustomed to finding a logical CAUSE behind every action, that they look for a REASON to explain why the Nazis exterminated the Jews. The very magnitude of the Nazi action seems to give credence to their slander of the Jews. Somehow the victim gets blamed for the crime. Even the eyewitness accounts of Holocaust survivors are very hard to accept at face value. We are used to discounting all extreme statements; we assume these people are exaggerating. But they are NOT. The horror is broader, deeper, and darker than their feeble words could ever make us see. But that poor victim was mistaken. What he felt was not hate. The passion that motivates other Holocaust survivors to keep their memories alive, IS NOT HATE. It is righteous indignation. Anger. Wrath that is appropriate in the aftermath of the most monstrous crime of human history. A legitimate anger that flows from the morality of the people who feel it. How did the Jews handle their anger? Did they spend the next 50 years bombing German factories? No, they reacted with hard work and diligence and created one of the most productive nations on the face of the earth — the State of Israel, born in the ashes of the Holocaust. Despite the fact that Nazi hatred robbed the world of many of its greatest thinkers, artists, musicians, scientists and doctors, those who survived have contributed greatly to the intellectual and moral vitality of the world. Under their leadership, Israel has become the only true democratic state in the Middle East. Israeli settlers purchased worthless swamps and deserts, transforming a barren rocky wilderness into rich agricultural land which supplies much of Europe’s citrus fruit from an area the size of New Jersey. Israeli agriculturalists redefined the science of desert farming. Israeli teaching teams now share this knowledge with “Third World” countries all over the globe. Israeli scientists have pioneered the medical use of lasers, and are at the forefront of theoretical mathematics. Jewish scientists are now found at the top ranks of almost every discipline. How has the world reacted to Israel’s success? With jealousy, anger and bitterness. Israel has been attacked repeatedly on all sides. On the day Israel gained its independence, the Arab states, which surrounded Israel declared an all-out war. Outnumbering the poorly equipped Israeli citizen-soldiers 100 to 1, these massive armies attacked on three fronts. Then in 1967, Israel was again threatened by the Arab world. Nassar vowed to “drive Israel into the sea” and mobilized along Israel’s borders. This time Israel struck first, and won a decisive victory in six days. Once again, Israel forgave its enemies and gave back the oil rich Sinai to Egypt.6 Today, we see world leaders demanding that Israel give back still more of their land. What more will the world ask of Israel.? But sooner or later, every human being is going to have to come to grips with the fact that Israel is the nation GOD CHOSE to bless the world. Do Christians need to stop treating Jews like errant children, and recognize that God has not cast away his people? Does the world need to relax its demands, and live with Israel in peace? We think so. 2. The Liberators, p. 4, 13. 3. Arthur D. Morse, While 6 Million Died. FACT: Prior to the events of WWII, Germany was required to pay reparations to France, Belgium, and England according to the Treaty of Versailles. This created national unrest in Germany which, due to economic hardships, escalated during the Great Depression of 1929. 8p 707 This unrest afforded Hitler with the opportunity to gain a political audience and to falsely accuse the Jews of being the source of Germany’s political and economic woes. Far from being radical communists, the German Jews made up a class of people who were mainly conservative entrepreneurs and small businessmen. FACT: The true relationship between Zionist organizations and Allied Governments is well documented. In mid-May 1939, the freighter boat St. Louis carrying 1128 Jewish refugees fleeing Nazi persecutions was turned away from the United States and sent back to Europe where the majority perished under the German reign. 6p230 The Allied powers were well aware of the death camps but refused to bomb the railroad tracks leading to the death camps. “To the American military effort the Jews represented an unwanted burden.” 11p307 The Allied powers were sympathetic to the Jewish plight, but refused to significantly increase the immigration quotas into their country. FACT: Eleanor Roosevelt, Dec. 14, 1943, “... the atrocities have continued and are continuing day by day. In Poland it is estimated that between 1,500,000 to 2,000,000 Jews have been massacred, starved or worked to death by unspeakable sadistic measures.” 5p165 “Of all the distressing memories that will live forever with the American veterans of war, none will be more sharper or enduring than those of the Nazi horror camps.”, Dwight D. Eisenhower 4p441. FACT: Eyewitness testimony is the single most credible tool our courts hold to administer justice. The concept of a jury of the people, deciphering between false and true witnesses, is at the foundation of most of the world’s legal systems for one reason --it works. Most people are poor liars. The legal provisions of discovery and cross-examination allow the legal system to separate true testimony from false. Granted, the system does not work perfectly and a few false witnesses are credited as being truthful. But not thousands! With a brief wave of his casual hand, Mr. Smith has brushed aside the detailed accounts of thousands upon thousands of vivid, dramatic, and truthful accounts. The Nuremberg Trials alone consisted of 403 public hearings in which eyewitness testimony was used as the main source of information. Perhaps the need for truth is best summed up in the following statement issued at the Nuremberg Trials. “We are here to define a standard which in the future can properly be applied to men and officials of every state. Any other approach would make a mockery of law and result in wrongs as serious as those which were sought to be remedied.”2 Is there no standard for truth? 1. Allen J.S., “Saturday Review, March 19, 1977. 2. Benton W.E. et al (eds. ), Nuremburg, 1955. 3. Chapman S, “The New Republic”, Nov. 1977. 4. Eisenhower D.,Crusade In Europe, 1948. 5. Gilbert M, Autchwitz & The Allies, 1981. 6. Jones D.P., NY Times Book Review, Nov. 20, 1977. 6A. Kraus O., The Death Factory, 1966. 7. Krausnick H.M., Anatomy of the SS State, 1968. 8. Palmer R.R.,A History of the Modern Man, 1984. 9. Sachar H.M., A History of Isreal, 1979. 10. Taylor S., A Prelude To Genocide, 1985. 11. Wyman D, The Abandonment of the Jews, 1985.